New solid state low noise amplifier module LNA5003 covering the 7.35 to 7.65 GHz frequency band at +25 dBm CW output. 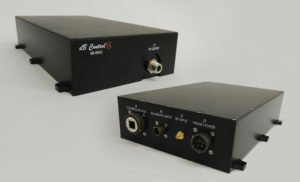 The coaxial LNA5003 operates from a 9 VDC supply at 0.3A nom. with a noise figure of 1.5 dB max, a gain of 25 dB min. and a gain flatness of 1 dB max peak-to-peak. This module can also be packaged in a self-sustained system chassis (benchtop or rackmount configuration). Typical applications would include SatCom receive signal boosters, general small signal amplification and receiver testing.